The publisher Lord Weidenfeld tells Stephen Sackur how a British Christian family took him in after he fled his native Austria in 1938 following its annexation by Nazi Germany. He has set up a scheme - Operation Safe Havens - to help Syrian Christians who are fleeing violence in the Middle East with the aim of offering them asylum in Europe. 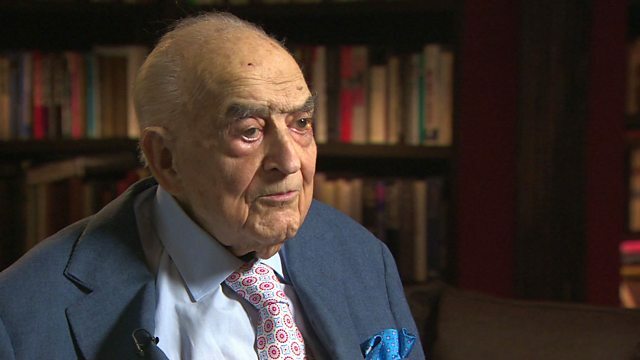 Now aged 96, Lord Weidenfeld remains the chairman of the company he founded in London, Weidenfeld & Nicolson.